Though Biden said earlier in the week that he hoped Democrats, if they take back the House, do not start impeachment proceedings against Trump before Special Counsel Robert Mueller has released his report, many Democrats are holding out hope that some Republicans will join their impeachment crusade if Democrats have a big enough House majority. In addition, some pro-amnesty advocates have in recent weeks indicated that there could be just enough GOP Senators who could support a potential amnesty compromise if Democrats make big gains in Congress in November. The former vice president also predicted that “three and six Republicans in the Senate” will “vote the right way” as well. Biden, sure of his prediction, even told reporters to not forget his words. 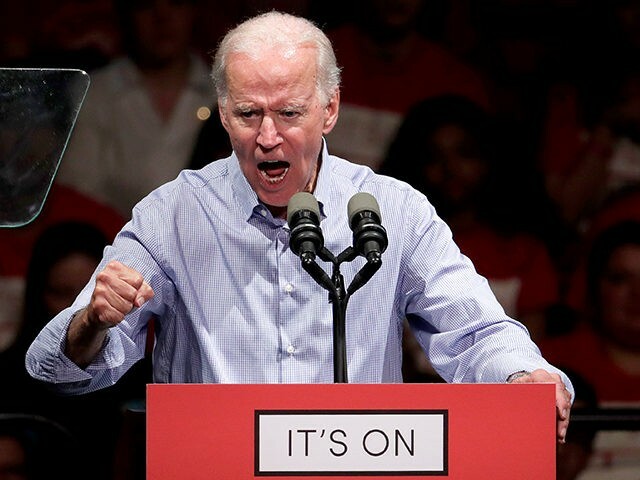 “Remember I said it,” Biden said.